Do tu think she looks like Keira Knightley? Do tu think that she looks like Dianna Agron? Do tu notice that Oriane Congost looks like Morgana Pendragon? Do tu like "A Princess for Christmas"? This is a site dedicated to the characters from the bbc tv mostrar Merlin. It includes extensive pictures, fanart fondo de pantalla and has música videos so check it out and registrarse now! 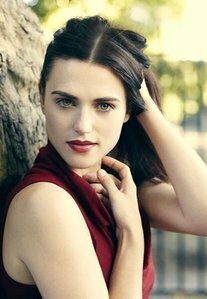 Where was born Katie McGrath?